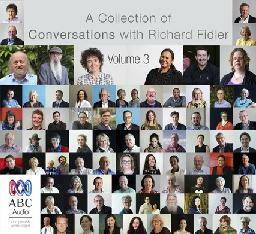 Get ideas for reading, watching, and listening from our team of staff pickers. The holiday season is upon us and it’s a great time to spend time with some quality books, movies, and music. Here are some titles that will tantalise you with their mystery, entertain you with their storytelling, amaze you with their creativity, and leave you with a sense of satisfaction. 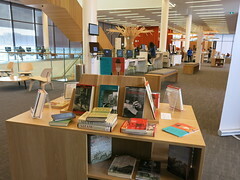 We’ve got Fiction, Audiobooks, Graphic Novels, Music CDs, and DVDs, all just waiting for you at your local library. 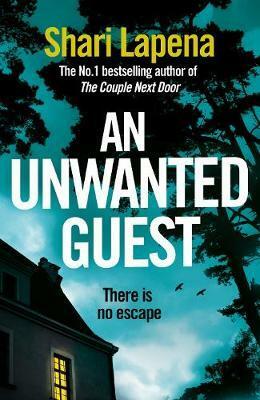 So firstly, if you find yourself in the mood for a well crafted locked-room mystery in the style of an Agatha Christie murder mystery, get yourself a copy of An Unwanted Guest by mystery master Shari Lapena. It’s a group of strangers held captive by the elements in a secluded boutique hotel. When the guests begin to fall victim to murder the story weaves and wraps around in a classic whodunit style with a good twisty-turny plot. A perfect choice for a bit of summer escapism. How about hearing some tales of the Norse Gods, written and read by Neil Gaiman – a self-confessed devotee of the classic sagas. These stories are fantastical, full of deceit and murder, trickery and beauty, and expertly read by the author in the audiobook edition available on our eResource BorrowBox. You’ll discover the strange relationship between Thor and his brother Loki, learn how the Gods came to be in possession of their most treasured artifacts like Thor’s hammer, named Mjolnir, or how Loki came to bear his children – a brilliant story of Loki’s trickery coming back to bite him. Amazing stories and a privilege to be able to listen to the author present them just as intended – casual and conversational storytelling. What about music…? If you’re looking for some tunes this season then I would suggest you check out the award-winning new album from Kiwi contemporary music legend Eve De Castro Robinson, The Gristle Of Knuckles. New Zealand’s contemporary music is in a fine state if this album is anything to go by. It’s from the hand/mind of one of the countries most respected music educators and composers and features many of our most celebrated musicians. It’s outstanding – dynamic, inventive, masterfully performed, and well worth a listen if you like jazz and contemporary music as an artform. And there’s always a Graphic Novel to help you while away an evening. A darkly comedic tale of a man who wants to die but instead, whenever he tries to die, he just shifts over into whoever is around him. 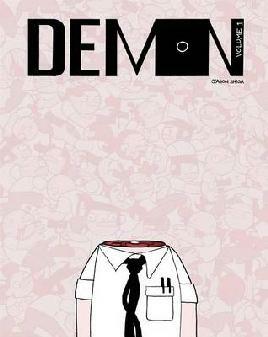 A brilliantly funny and darkly curious take of modern life by an expert artist. It’s simplistic artwork counterpoints the bleak nature of the subject matter – a comedy about suicide!? And what results is book of gravity and heart. A grown up fairytale from the legendary Giambattista Basile that is dark, twisted, and engrossing. Three kingdoms exist within the lands, each ruled by very different monarchs. Through the lives and demands of the people and the supernatural worlds, their stories intertwine to create a masterpiece of imaginative film making. A brilliant cast and a story that will stay with you long after. Definitely some good options if you’re looking to enter our Summertime Reading Challenge! Another year is coming to a close and it gives me pause to think about what an amazing year it has been for fiction! We’ve been bestowed with such a wealth of quality new releases, from longstanding authors continuing to deliver, debuts of such genius it boggles the mind, sequels that have been waiting more than a century, and a bold author new takes on an old classic. My highlights for this year start with not only the best book I’ve read this year but possibly the best I will ever read, ever! I’m talking it up, I know but here’s some of the reasons why… Flames is a tribute to nature, the environment, our place in it, the unseen elements, the powers that rule, and the lives of all things. It weaves myths and small gods into the fabric of the environment, masters of unseen systems which shape lives unbeknownst to the humans inhabiting their land. This is an astonishingly good book. It’s elemental, blurs the lines between reality and mythology, sweeps you up in atmosphere and the sense of place, and the use of language is sublime. 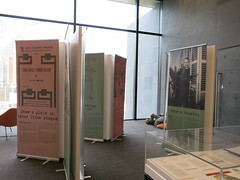 The story is set in Tasmania and centres around a family with deep connections to the land and environment. A young woman sets out south, alone to the wilderness of ancient Tasmania, while her brother sets out to build her a coffin and sends a private detective to track down his sister and bring her home.Through the course we discover an ageless world, gods of nature, young people coming of age, and what it is to engage with your world. Superb effort and the best thing I’ve read this year – quite an effort given the next titles I’ll share with you! 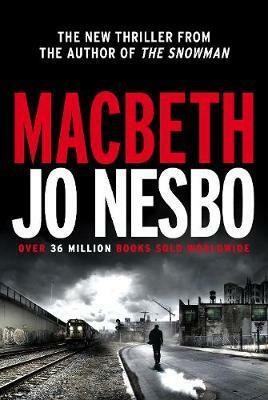 When Hogarth Shakespeare set out to create modern retellings of the great works of Shakespeare, they were inspired by their choice of Jo Nesbo to retell Macbeth. Macbeth The master of noir violence and mystery has done an absolutely brilliant job of turning Macbeth (the man) into a Scottish police officer, wracked with guilt of the past, plagued with addiction, and hungry for power. It’s so obvious to me now that Macbeth was MADE for the Scandi-Noir genre treatment. It’s gritty, dark, violent. Full of power, betrayal, and characters walking the fine line between sanity and madness. For this story Macbeth is head of SWAT in a dangerous and corrupt town and together with his mistress, Lady, the rags-to-riches casino entrepreneur, they embark on a powerplay to seize control of the city. But Macbeth has a sketchy past full of drug abuse and violence and as he relapses things get out of control, people get killed, lines get blurred… A great read and a must if you like Scandi Crime! The next two I’d like to share are by two of the most important authors of our contemporary world right now – in my humble opinion. The first is the Australian writer Tim Winton and his newest book The Shepherd’s Hut. It’s the very colourful and memorable account of a young man forced by circumstance to take to the outback roads of rural Western Australia. Such brilliant descriptive writing will have you smelling the eucalyptus in the air, and hearing the crispy arid saltlands crunching underfoot. Jaxie is running and he’s got a vague destination in mind – north. And he’s got to survive the perils of rural Australia, criminals, and the very land that seems to want to kill him from heat, thirst or animal attack. An outstanding book from a great Australian author and written in vernacular language too, strengthening characters and adding some lightness! Willy Vlautin is one of my favourite authors writing today and his works just keep getting better and better. He writes of contemporary everyday life and he tells the stories of working class Americans and the very real struggles faced by ordinary people in the America of today. This one is concerning a young American Indian man who passionately desires to be a champion boxer. 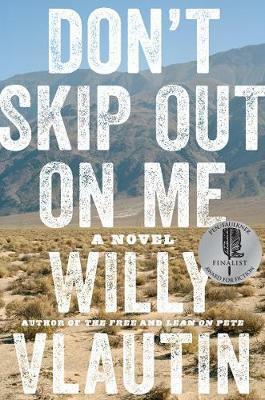 He begins his journey on a ranch in Nevada where an ageing couple has adopted him, and follows him to Arizona as he sets his mind to a life of pugilism. Beautifully written and full of the heart and pathos that Willy Vlautin is famous for. A stellar effort and worthy of much praise. Another great debut from Australia that really captures the Australian Gothic story. It’s the story of two young men, not boys but barely men, after a traumatic family event that sees them on a journey not of their choosing. The book describes the brutality of life in 1800’s Australia, the treatment of the indigenous population, and the rigourous adherence to the ‘old ways’ in this vastly alien and seemingly lawless world. If you like your reading to be vivid, violent, confronting, and troublesome then you’ll sure like this one! The official prequel to the great work, this one penned by none other than Bram Stoker’s great-grandnephew and authorised by his estate. It’s told in the familiar form of diary entries and personal notes, and tells the story of Bram himself who along with his siblings encounter some serious evil and a creature so powerful and unknowable that it threatens their very souls. So well written and very readable, good pace (bit of a page turner), and language that would please the original author. A great read for fans of horror, mystery/suspense, or the classics. Definitely one of my best picks for 2018 and a worthy inclusion to this highlights package (and my colleague Fee loved it too)! Now I look at the titles that missed out on inclusion to this list with some sadness – like I say, it was a remarkable year for quality fiction! 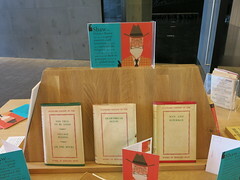 Here at least you have a selection for your holiday reading this summer. Grab one at your local library, settle in with a cup o’tea (or something else), and get some amazing stories in for the hols. It’s that time of year again for us to celebrate all things dark, sinister, and macabre, and what a lot of options you have from us here at Christchurch City Libraries! We have Horror, Sci-Fi, & Fantasy booklists covering all your favourite subgenres, plenty of horror films available on DVD, Pru has done an excellent sum-up of Halloween stuff including Spooky Halloween Days at Shirley and Linwood, AND we have a way for you to soundtrack your festivities… after all, what’s more frightening than the sounds of impending dread…!? Nothing suits Halloween better than the psychedelic horror rock sounds of King Crimson, the perfect way to soundtrack your Halloween! A great cross section of the work of Siouxsie & the Banshees. Rock this album while your carve your Jack O’Lantern! The original monsters of rock – you wanted the best, you got the best. Get your full make-up on and rock this Halloween! Thirty tracks from the Stranglers from between 1983-1991. A collection of punk fuelled horror B-sides to rock you this Halloween. The hugely celebrated second (and last!) album from the Cannibals. Some call it a masterpiece. Whatever you think you can bop with the pop til you drop this Halloween! Rob Zombie has been delivering his horror rock for decades and this album is one of the highlights of his career. Get trashy and zombie this Halloween. Music to survive zombies by… the perfect soundtrack for your Halloween. The grandfathers of gothic rock in a collection featuring their best tracks. It doesn’t get more dark, gothic, or horror-ific than the masters. 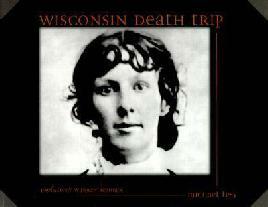 And finally, on this CD you will find THE classic piece of horror music; Toccata & Fugue in D minor. If you don’t recognize the name, you’ll surely recognize the first three notes! Happy listening and a happy Halloween! The Christchurch leg of the New Zealand International Film Festival is in full swing and there’s been some brilliant films on show thus far! b) giving himself the best possible chance of being rescued. Without giving anything away, events occur that lead him to the decision to make a long trek to a possible permanent habitat due North. It’s a road movie, a survival piece, and a celebration of the resilience of humans in the face of insurmountable odds. Mads needs some serious recognition for this performance! The survival-against-the-odds theme is not something new to us in storytelling and film making however. I myself am particularly drawn to those stories that pit an individual – often the survivor of some calamitous event, against the wilderness in whatever shape that takes. There are examples set in jungles, deserts, mountains and polar regions, there are even some set in space. Often the entire story is reliant on a single actor to shoulder the whole burden and when there’s nature involved it opens the way for cinematographers, costume designers, and music composers to help set the scene and drive the suspense. A good recent example is ‘All is Lost’ which sees Robert Redford give a riveting performance as a man lost at sea, adrift and endangered. 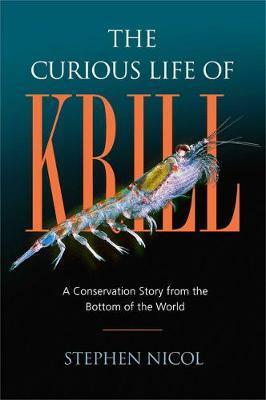 Films that showcase the stranded loner pitted against nature and against all the odds of surviving at all… From the jungle to the Arctic, from space, the open ocean, and the desert; all these environments are out to kill you! Could you do what it takes to survive…?!? Into the Wild – The story of a young American man who sells up and hits the road heading all the way north into Alaska. He’s desiring to be closer to nature and to get away from humanity. He has only his wits and some very limited survival skills to negotiate the harsh and unpredictable environment. A great journey and a decent telling in this movie and a great performance from Emile Hirsch. Cast Away – The classic tale of the “shipwrecked”. The sole survivor of a FedEx plane crash ends up on an isolated island and has to fend for himself. He’s there quite a long time and we get to see his transition from inept city-dweller to experienced survivalist. Great solo performance from Tom Hanks. Gravity – Survival in space! A single astronaut survives a disaster in orbit around Earth. She’s got to use all her guile, instinct, and training to get back to the surface. Gripping story and amazing cinematography and a stellar performance from Sandra Bullock (and George Clooney for a bit too!). Jungle – Based on real events, a young Israeli adventurer finds himself lost and alone in the jungle of South America. It’s a hostile environment and we follow his descent into desperation and madness. Another standout performance from Daniel Radcliffe. 127 Hours – Everyone knows the story – a mountain climber gets stuck and spends 127 hours locked in place when his arm becomes caught in a climbing mishap. He’s driven to some dark places in his mind and the most desperate option quickly becomes the only option. James Franco is very good in this! The Martian – The movie of the super-popular novel of the same name. An astronaut is left behind on Mars after a minor disaster spoils the plans for the mission. The “castaway” is a biologist and he soon gets to work farming potatoes, and making plans for his rescue. Big budget, big names, big topic! Matt Damon delivers a pretty decent representation of the main character but this does get very “Hollywood” at times…. but then it’s set on Mars and it’s a survivalist story so what’s not to like!! Life of Pi – An oceanic wilderness survival tale with a difference. Young Indian man Pi is adrift in the Pacific Ocean in a lifeboat. Along for the ride are various wild animals from his family’s zoo business – one of them is a Bengal Tiger! Can he reach safety before he becomes lunch?? Good story told in retrospect and great work from the special effects department. The Revenant – Not so much a sole-survivor tale but a good story of desperation, survival, and revenge! A member of a trapping party in the 1800’s is mauled by a grizzly bear and left for dead by his party. With a little help along the way he manages to recover enough to navigate his way back to civilisation and onto avenge his betrayal. Dark and bloody and there’s a graphic bear attack. Leonardo DiCaprio does pretty well with what is a difficult role and the support cast are very good. I’d read the book by Michael Punke first though, it goes better than the film. The Shallows – A tense thriller involving a young surfer and a homicidal shark! The girl is stranded annoyingly close to shore, but she’s in the Great White’s feeding ground and he’s got a taste for blood. The ocean is a scary place! I’m a committed reader and I do read fairly widely and there’s one particular thing that I love when it comes to fiction; I love stories that blend and blur the lines between reality and mythology. The kind of thing where the lives of men and meddling gods coexist and the environment holds some physical form. 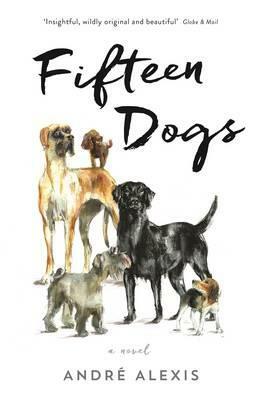 There’s loads of examples of this throughout literature – the Greeks and Romans loved to tell these types of stories, and those stories continue to be told in our own time – think of John Banville’s ‘The Infinities’ and ‘Fifteen Dogs’ by Andre Alexis . In both books the Classical Gods get involved in the modern life of humanity (and canines). 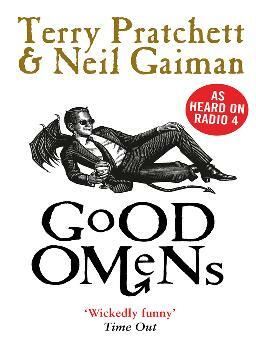 And more recently there’s been ‘American Gods’ by Neil Gaiman, and ‘Good Omens’ a joint effort between Gaiman and the late Terry Pratchett. Both of which will be getting the screen treatment very soon! But what about the more elemental gods, the older gods, gods of the earth, environment, and the supernatural world…? I’ve just finished reading ‘Flames’ by Robbie Arnott – a young Tasmanian author with some serious talent! 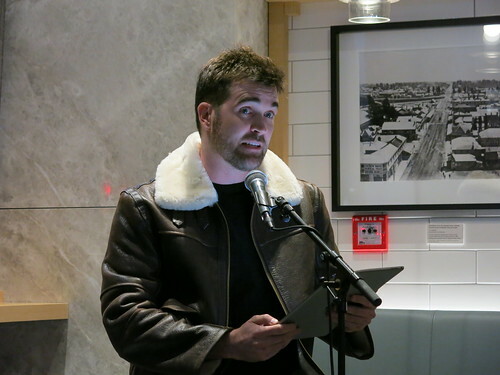 He’s been writing for some years now and has a string of awards following in his wake, and he’s a very welcome addition to the burgeoning Tasmanian writers scene, a scene which includes the rural romances of Rachael Treasure, the gritty historic fiction of Rohan Wilson, and the Booker Prize winner Richard Flanagan. I’m a Tasmanian myself so I do enjoy keeping up with what’s coming out of the beautiful isle, but I wasn’t really prepared for how good ‘Flames’ was going to be! It feels as you read it as if the land of lutruwita (the indigenous name for Tasmania) is itself telling the story and we are the privileged few who get to gain some insider knowledge. It centres on two young people just after the death of their mother, which itself acts as a catalyst for all that follows. The brother is steadfast and pragmatic and wants to protect his sister so decides to build her a coffin, to which her response is to flee into the wilderness of the South West where she discovers a supernatural aspect to the world around her, and to herself and also to her family. Meanwhile the brother mounts a search to find his sister. On the journey we meet characters that are both at one with the natural world and still finding and settling into their place in it. We meet their father, we learn more about the family’s background, and other characters each of who are portrayed perfectly to outline their purpose in the narrative. Robbie Arnott’s use of language is poetic and evocative of times past, of the smell of earth, the feel of wind, and the heat of fire. The narrative moves organically from one character to the next, shifting perspectives and fleshing out the magic of the story as it progresses. His descriptions of Tasmania (and you can rely on this ex-pat to confirm) are stunningly accurate and establish a very strong sense of place – you can smell eucalyptus burning, hear the rush of the waves onto the rocks, and you can feel the semi-decayed earth under your feet as you negotiate the wombat burrows. So; beautiful language, strong sense of place, great characters with depth and purpose, and an engrossing story line – it’s ticked all the boxes for me! And ‘Flames’ is not the only book to achieve this balance between the real, the myth, the supernatural. ‘The Buried Giant’ by Kazuo Ishaguro is the tale of an ageing couple on a medieval pilgrimage with their purpose obscured by a think fog affecting memories, or there’s the outstanding series ‘The Tale of Shikanoko’ by Lian Hearn where we follow a journey of growth within a fantastical Edo-era Japan that has such imagination and rooted in strong mythology and where the everyday is touched with magic both light and dark. As is fellow Tasmanian Richard Flanagan’s great piece of surrealist historical fiction ‘Gould’s Book of Fish – a novel in twelve fish’ which I’m sure was both inspiration and license for Robbie Arnott to create this work, ‘Flames’. And if you like this particular sub-genre then there’s plenty of films and tele series’ that are similar. You could have a look at ‘The Kettering Incident’, Tasmania’s own supernatural, David-Lynch-esque, tele series. It’s brilliant, dark, a bit creepy, and it’ll show you some places and environments very like those Robbie Arnott has depicted in ‘Flames’. 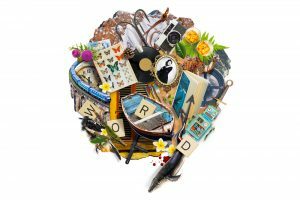 WORD Christchurch is back for 2018 and the programme is full of quality experiences of the written word! Once again there’s everything from poetry sessions, confessional sessions, author and book-related panels, and even a whale-watching tour to beautiful Kaikoura! As stated above, you can take a Whale Watching (Tues 28 Aug) trip to Kaikōura. 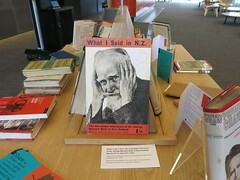 Hosted by authors Philip Hoare and David Neiwert, and travelling from Christchurch to rendezvous with Whale Watch Kaikōura for an early afternoon cruise out into the mighty ocean, you can encounter the ocean giants first hand, all the while having the author/hosts regale you with knowledge and stories. 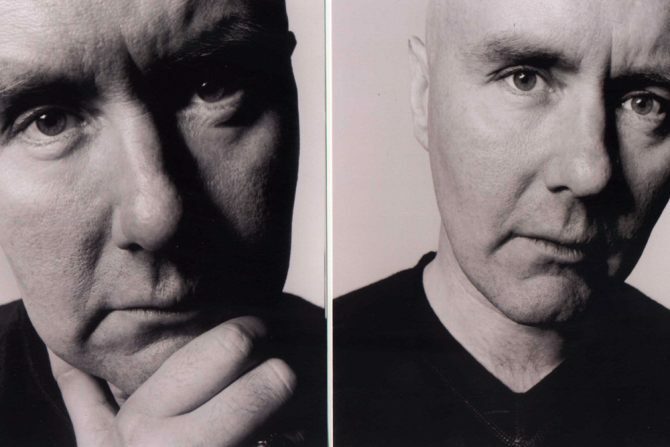 Irvine Welsh: Trainspotting to Dead Men’s Trousers. (Fri 31 Aug) What an exciting opportunity to hear from the mind of the man who burst onto the scene in 1993 with what is now a modern classic! Welsh has written quite a few books centred on the characters featured in Trainspotting, but is this to be the last one…?!? He’s also a highly opinionated and politically-minded individual so there’s sure to be some Brexit talk during his talk. Diary of a Bookseller (Sat 1 Sept) gives us an insight into the highs and lows in the life of a Scottish second-hand bookshop. It’s hosted by Shaun Bythell who will also be running Book Collectors Old and New (Fri 31 Aug) – a 3 hour interactive workshop on all things book collecting. 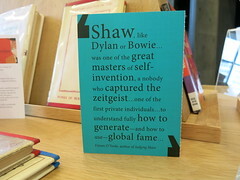 Shaun co-hosts with Brian Phillips as they will impart all the knowledge you could want on the world of book collecting. And how about a panel discussion with authors presenting readings of new writing on the music that has shaped them as artists and people. Soundtrack or, Dancing About Architecture (Sun 2 Sept) will see authors Philip Hoare, Pip Adam, Chris Tse, and Nic Low do just that. Musical styles and experiences will be as wide and varied as the work of the authors presenting. And finally, the story of the editor-turned-bestselling author. A.J. 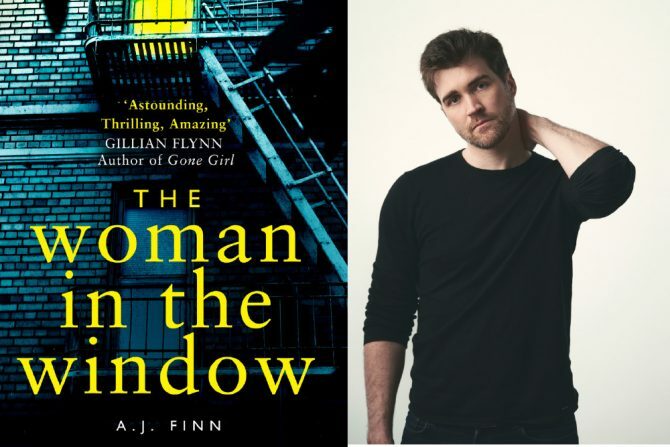 Finn: The Woman in the Window (Sun 2 Sept) introduces us to the next big thing in thriller writing. Dan Mallory, writing under a pseudonym, is getting huge accolades from some big names in the genre and The Woman in the Window is already getting the silver-screen treatment. This will fascinating to hear him speak about how his years of editing set him up for the best possible crack at his own bestseller! So there are my pics for this year’s festival – wide, rich, and varied. See you there for literary-themed goodness! 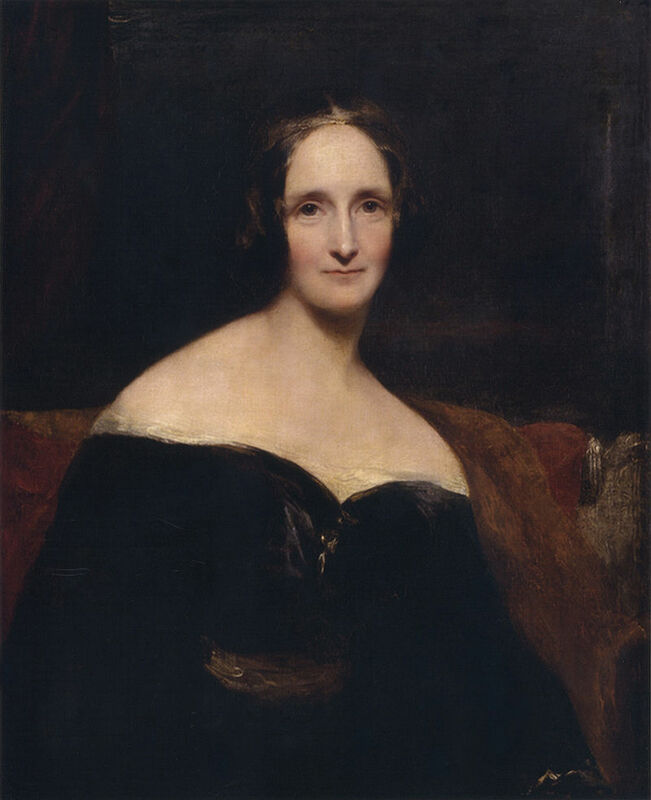 Mary Shelley, by Richard Rothwell, 1840. Wikimedia Commons. Mary Shelley was just 18 years old when she began writing the English language’s most successful gothic horror tale, Frankenstein, which was first published 200 years ago. So after all these years what do we know about her, the story, and the circumstances that led to the creation of Frank Jnr.? She did indeed write the story when she was 18, although it was not published until she was 21. It was written as the result of a challenge laid down by Lord Byron (romantic poet extraodinaire), who along with young Mary, her husband Percy, and Byron’s “personal physician” John Polidori was staying in a spooky country house. On a stormy night telling ghost stories to each other, Byron thought it would be a good challenge for the group to see who could write the best ghost/horror story! That session also led to Polidori writing the story ‘Vampyre’ which was influential on Bram Stoker for his work, ‘Dracula’. In 1910 Thomas Edison created a 15min film based on the story – I love the music accompaniment on it! The monster has no name but is referred to in the book by the names in my first sentence. For many years I believed the monster’s name was Adam, but I must’ve dreamed that! The story was initially published anonymously with many readers assuming the author to be Mary’s husband Percy. Even after its reprinting in 1831 with Mary’s name on it many still thought Percy’s hand was involved. In truth it is now believed that Percy contributed a measly 6% of the text (4,000 of 72,000 words) with many readers considering that his contributions only detracted from the story, were over complicated and over described, making the whole thing harder to digest. During her life Mary also wrote, seven novels, three books for kids, over a dozen short stories, and numerous biographies, articles, and poems. The story of Frankenstein is now so embedded into our popular culture that there have been countless depictions and references all through the history of film and television; think Hermann Munster, the film Young Frankenstein, British tele series The Frankenstein Chronicles, and even with the fantastic kids film Tim Burton, Frankenweenie ,we see that this story of horror has even entered into the realms of children’s literature and culture. But have we stayed true to Mary’s idea?? Does the monster still serve the same purpose as she intended; a lesson in mortality, human desire for control and intolerance for the different, perhaps even describing the perils of parental abandonment…? This series of charts from the Guardian suggests there have been some major deviations. Happy and spooky reading to you….